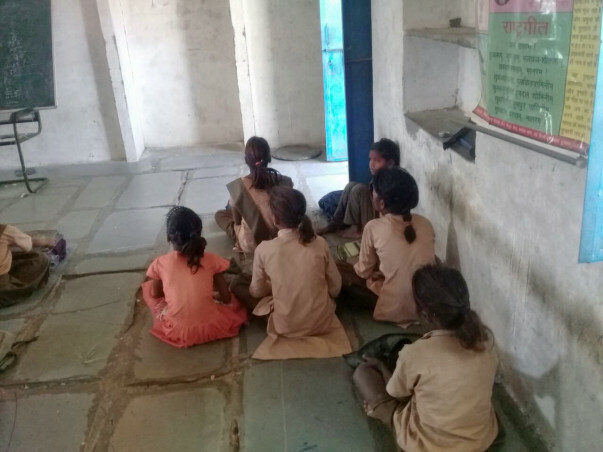 80% Government schools students sit’ s on the ground floor in their classrooms which gives them severe back ache problem ahead, students sits on the floor has recorded the severe vision issues and such students can never think of good hand writing. Classroom teaching is the only way for student to learn in 90% school What if there will be no teacher? 72% students drink tank water used for drinking can give some serious stomach and intestinal injuries. Even though a huge number of Government schools exist having extreme talented teachers with a handsome salary but still the dropped-out is still a big challenge in the government school today. Infrastructure of the govt. schools are in a very critical situation which spreads the common mindset in the community that, government school are meant for poor community only. The Student Learning outcome is also the lowest among the other international levels. Thus achieving high learning outcome is the major challenge. Library is a big dream for a Govt. School and even if it exist they are locked in an almirah , the reason of being misplaced or stolen. We are initiating our project BALA (Building as learning aid) in the state of Rajasthan in 4 blocks (Girwa, Badgaon , Kherwara and Mavli) covering 100 Schools and impacting more than 50,000 Students by Renovating the school building and improving the basic facility in schools to increase enrollment. Furniture’s and Tables installation for Back Pain issues. 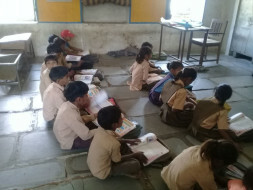 Setting up a Library in a school.